Tired of giving generic gifts or trying to find something for the person who already has everything? Why not channel that energy into a simple, thoughtful gift with an unexpected presentation? 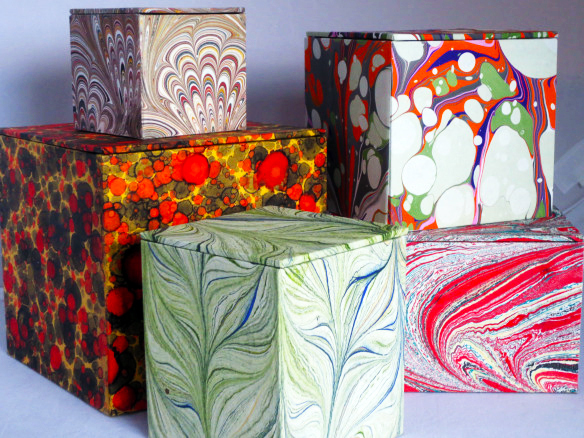 Unique textiles and other nontraditional wrappings can enhance one’s sense of wonder and enrich the gifting experience. 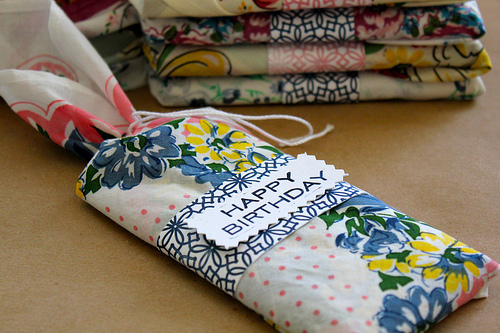 Wrapping with creative intention is a fun and easy way to live a more artful life! Old maps make extremely “smart”, eco-friendly wrapping paper. Expand on this idea and use anything interesting like old blueprints or sheet music, or even stunning magazine pages. A 3 year old’s painting translates to meaningful wrapping paper for a close relative. At the gallery, we have artful tassels that can really elevate a gift, such as a bottle of wine. We loved this idea from Crafted by Lindy. What a wonderful way to turn something generic, like a candy bar, into a distinctive gift with whimsical cotton fabric. Browse our assortment of exquisite scarves for a chic way to wrap a gift. For inspiration, check out the book Wrapagami by Jennifer Playford, which explores this Japanese-derived tradition.